Woolwax® is formulated to be thicker and more resistant to wash-off . Woolwax® has almost no smell. We have neutralized the strong woolgrease odor with our proprietary process. Woolwax® is formulated with more raw woolgrease (lanolin) than any competitive product. That makes Woolwax® considerably thicker and more resistant to wash-off for longer protection. Woolwax® is applied using the same Kellsport Products spray guns that we have supplied for Fluid Film for 10+ years. Woolwax® can be applied with most undercoating guns using 70-90 psi. Since Woolwax® is formulated thicker, in cold weather it may be necessary to heat up the Woolwax® before applying. This is easily done by placing the container (bottle, pail, etc) in front of a floor heater for 5-10 minutes. After warming, stir well. 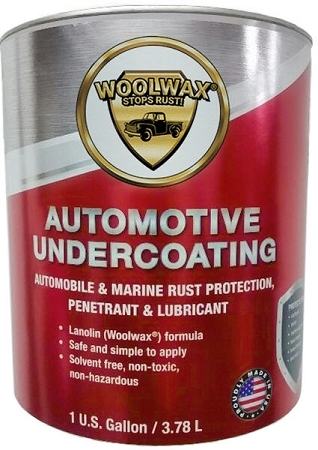 WOOLWAX® is a lanolin based auto / truck undercoating made from raw WOOLWAX®. WOOLWAX® sprays on wet and does not dry out. WOOLWAX® creates a thin lanolin film barrier to keep moisture and oxygen away from the base metal. * Solvent free. Environmentally friendly. * Always active and creeping into inaccessible areas. * WOOLWAX® will thicken to a gel film after applied and is very resistant to wash off. * Provides vehicle undercarriage protection for a full season. * Enclosed areas (doors, frame-rails, rocker-panels, etc., that are not exposed to road-wash will be protected indefinitely (years). This is the advantage of no solvents. There is nothing to dry up and evaporate. 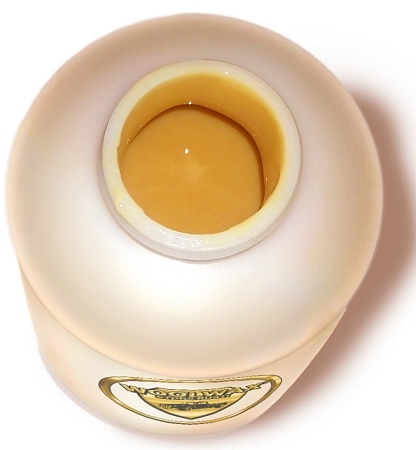 WOOLWAX® is a "honey" color, but when applied appears fairly clear. WOOLWAX is a very clean product as opposed to messy black products. WOOLWAX® is a non-drip formula. We make it to be as thick as possible to resist wash-off, yet still easily sprayable. WOOLWAX® can be applied with most undercoating guns using a pressure of 70-90 psi. Proudly manufactured in U.S.A. Note: WOOLWAX® contains more raw woolwax (lanolin) than any competitive product. This makes WOOLWAX® a more viscous (thicker) formula and much more resistant to wash-off. Because of this thick formulation it may be necessary to warm the WOOLWAX® for a few minutes in front of a floor heater, before spraying. Once applied the WOOLWAX® will thicken to it's original viscosity which is very resistant to wash-off and will provide a longer period of protection. Easily applied with the Standard or PRO Undercoating Guns from kellsport products.